Rising energy prices are a major challenge for many industrial plants, and energy efficiency is becoming a crucial success factor. The good news is that most sites have a considerable unexploited potential for energy savings and, as an added bonus, reduced CO2 emissions. 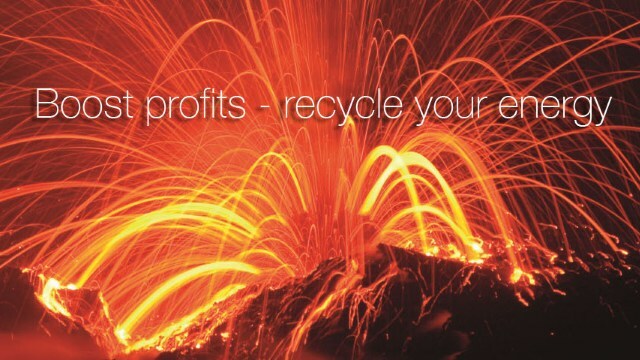 For most industries, waste heat recovery using compact heat exchangers presents a major possibility to increase profitability, and the initial investments often have a payback period of less than one year. Many process industries are already recovering heat, but use shell-and-tube technology. 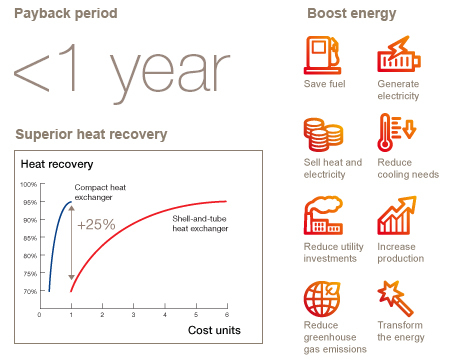 Switching to compact heat exchangers boosts the energy efficiency and is a very good investment in most cases.